Founded in December 1918, The Church of the Annunciation was borne of 60 Orthodox members in Newburyport, Massachusetts, then under the name of The Hellenic Orthodox Church of St. Peter and Paul. With no building in which to worship, the parishioners held service in St. Paul’s Episcopal Church with priests from nearby Ipswich and Haverhill conducting services. 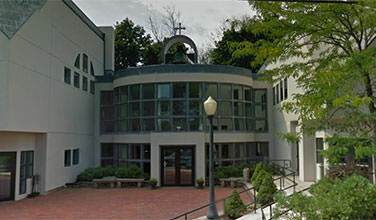 Currently The Church of the Annunciation is located on Harris Street in Newburyport, Massachusetts just one block from the Newburyport Public Library.